Born in Toronto, Canada, Neil Young moved to Winnipeg with his mother following her divorce from his sports-journalist father. Young began playing music in high school. Not only did he play in garage rock outfits like the Esquires, but he also played in local folk clubs and coffeehouses, where he eventually met Joni Mitchell and Stephen Stills. During the mid-'60s, he returned to Toronto, where he played as a solo folk act. By 1966, he joined the Mynah Birds, which also featured bassist Bruce Palmer and Rick James. The group recorded an album's worth of material for Motown, none of which was released at the time. Frustrated by his lack of success, Young moved to Los Angeles in his Pontiac hearse, taking Palmer along as support. Shortly after they arrived in L.A., they happened to meet Stills, and they formed Buffalo Springfield, who quickly became one of the leaders of the Californian folk-rock scene. Despite the success of Buffalo Springfield, the group was plagued with tension, and Young quit the band several times before finally leaving to become a solo artist in May of 1968. Hiring Elliot Roberts as his manager, Young signed with Reprise Records and released his eponymous debut album in early 1969. By the time the album was released, he had begun playing with a local band called the Rockets, which featured guitarist Danny Whitten, bassist Billy Talbot, and drummer Ralph Molina. Young renamed the group Crazy Horse and had them support him on his second album, Everybody Knows This Is Nowhere, which was recorded in just two weeks. Featuring such Young staples as Cinnamon Girl and Down by the River, the album went gold. Following the completion of the record, he began jamming with Crosby, Stills & Nash, eventually joining the group for their spring 1970 album, Deja Vu. Although he was now part of Crosby, Stills & Nash, Young continued to record as a solo artist, releasing After the Gold Rush in August, 1970. After the Gold Rush, with its accompanying single Only Love Can Break Your Heart, established Young as a solo star, and fame only increased through his association with CSNY. Although Crosby, Stills, Nash & Young were a very successful act, they were also volatile, and they had split by the spring 1971 release of the live Four Way Street. The following year, Young had his first number one album with the mellow country-rock of Harvest, which also featured his first (and only) number one single, Heart of Gold. Instead of embracing his success, he spurned it, following it with the noisy, bleak live film Journey Through the Past. Both the movie and the soundtrack received terrible reviews, as did the live album Time Fades Away, a record recorded with the Stray Gators that was released in 1973. Young's focus began to wander in 1976, as he recorded the duet album Long May You Run with Stephen Stills and then abandoned his partner midway through the supporting tour. The following year he recorded the country- rock-oriented American Stars 'n Bars, which featured vocals by Nicolette Larson, who was also prominent on 1978's Comes a Time. Prior to the release of Comes a Time, Young scrapped the country-rock album Homegrown and assembled the triple-album retrospective Decade. At the end of 1978, he embarked on an arena tour called Rust Never Sleeps, which was designed as a showcase for new songs. Half of the concert featured Young solo, the other half featured him with Crazy Horse. That was the pattern that Rust Never Sleeps, released in the summer of 1979, followed. 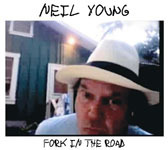 The record was hailed as a comeback, proving that Young was one of the few rock veterans who attacked punk rock head-on. That fall he released the double album Live Rust and the live movie Rust Never Sleeps. Rust Never Sleeps restored Young to his past glory, but he perversely decided to trash his goodwill in 1980 with Hawks & Doves, a collection of acoustic songs that bore the influence of conservative, right-wing politics. 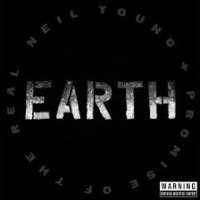 In 1981, Young released the heavy rock album Re*ac*tor, which received poor reviews. Following its release, he left Reprise for the fledgling Geffen Records, where he was promised lots of money and artistic freedom. Young decided to push his Geffen contract to the limit, releasing the electronic Trans in January 1983, where his voice was recorded through a computerized vocoder. The album and its accompanying, technology-dependent tour were received with bewildered, negative reviews. The rockabilly of Everybody's Rockin' (1983) was equally scorned, and Young soon settled into a cult audience for the mid-'80s. American Dream didn't prepare any observer for the critical and commercial success of 1989's Freedom, which found Young following the half- acoustic/half-electric blueprint of Rust Never Sleeps to fine results. Around the time of its release, Young became a hip name to drop in indie rock circles, and he was the subject of a tribute record titled The Bridge in 1989. 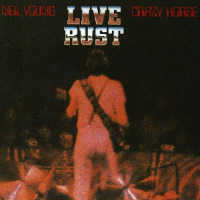 The following year, Young reunited with Crazy Horse for Ragged Glory, a loud, feedback-drenched album that received his strongest reviews since the '70s. For the supporting tour, Young hired the avant rock band Sonic Youth as his opening group, providing them with needed exposure while earning him hip credibility within alternative rock scenes. On the advice of Sonic Youth, Young added the noise collage EP Arc as a bonus to his 1991 live album, Weld. In early 2005, Young was diagnosed with a potentially deadly brain aneurysm. Undergoing treatment didn't slow him down, however, as he continued to write and record his next project. The acoustically based Prairie Wind appeared in the fall, with the concert film Heart of Gold, based around the album and directed by Jonathan Demme, released the following year. 2006 also saw the release of the controversial CD/DVD Living with War, a collection of protest songs against the war in Iraq that featured titles such as Let's Impeach the President, Shock and Awe, and Lookin' for a Leader. Restless, prolific, and increasingly self-referential, Young issued Chrome Dreams II late in 2007. All About Jazz musician pages are maintained by musicians, publicists and trusted members like you. Interested? 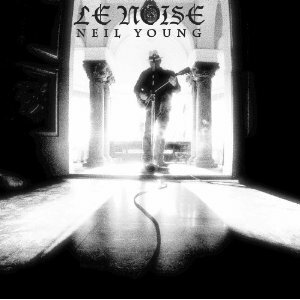 Tell us why you would like to improve the Neil Young musician page.